Seun Omogaji, who’s popularly known as DJxgee, has allegedly committed suicide. 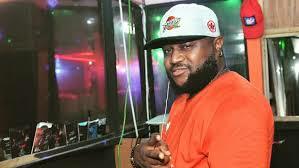 The Lagos-based disc scratcher died hours after posting a cryptic note on his Instagram page. A suicide note on his Instagram: “Okay, there is a twist to this last respect people give to their loved ones when gone. “Black as signs of sadness but in my case, please rock white because I love the colour so much. “To all that I have made to smile and to those I have pissed off, trust me, I’m only being human. “Enikorewa, I love you so much; Eriayo, your name sums it all up; you are truly the reason for my joy. Also reacting, popular DJ and musician, deejayneptun, said, “You of all people? Always full of life whenever we met. Seun, whatever it was, I just wished you shared it.